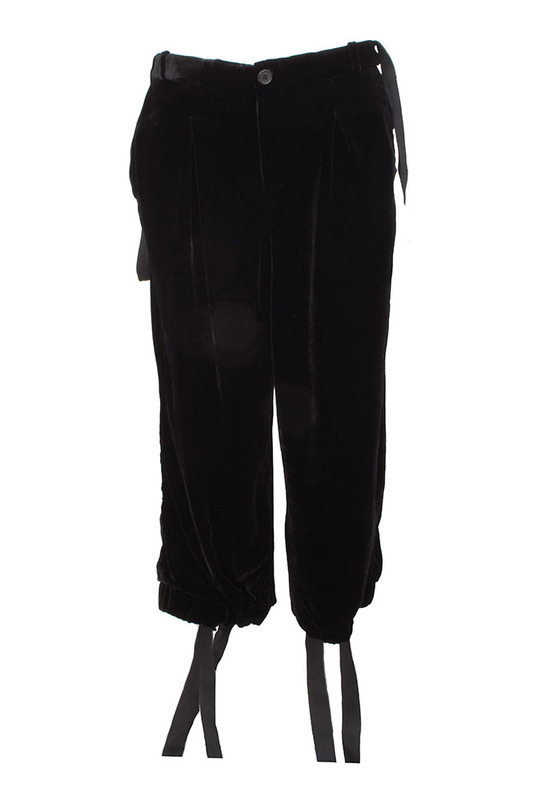 Aleksandr Manamis viscose/silk mix, black velvet trousers. 'V' pleats on either side at the front. belt loops. Button and short zip fly. 2 side pockets. Single angled pleats at the rear. 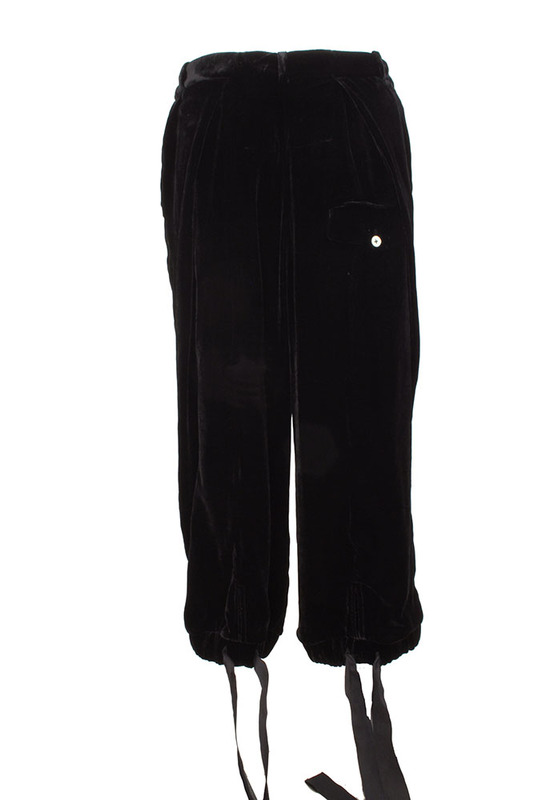 Rear pocket with flap and button fastening. Hems are gathered and have wide tape fabric ties as a drawstring and are vented. Stunning trousers that match the jacket to make an awesome suit. Sizes 3 = 33inch M.